If you liked this show, you should follow SheNeverSlept. It is the final day for our Lovecraftian Solstice Celebration and we are ending it with a bang! We'll talking with Laird Barron about his work on The Book of Cthulhu and Mythos writing in general. Plus whatever happens if we botch our roll on the sanity dice! We will once again be opening the phones to callers about half way to the show. We hope you join us for the live show, but if you can't make it don't fret it will be archived. Don't forget we'll be giving away some prizes -- so pay attention to the interviews!!! 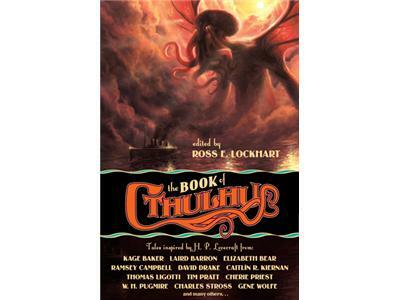 Night Shade Books has been kind enough to give us 3 copies (you guessed it one for each night) of the critically acclaimed book - The Book of Cthulhu!